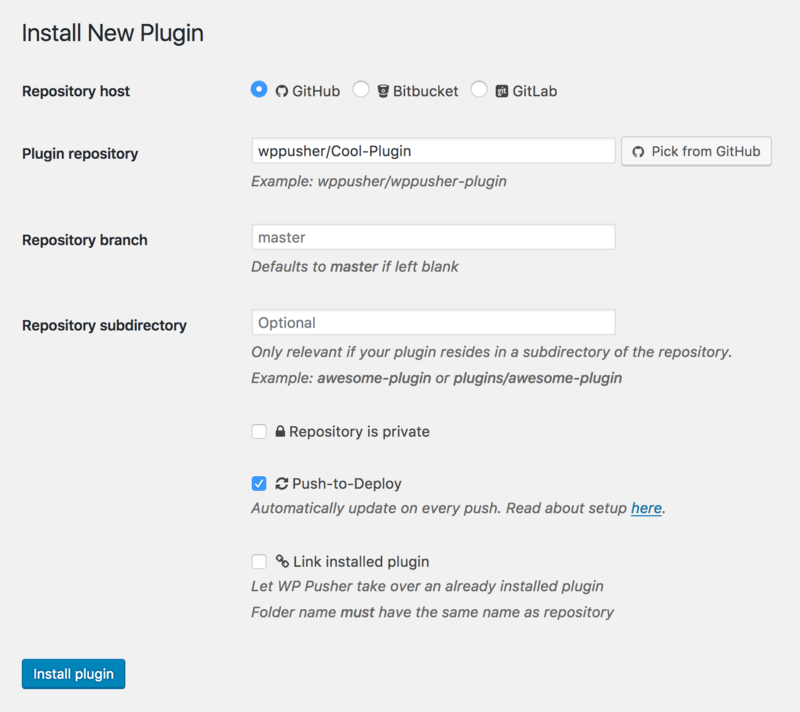 When you install a plugin or theme from GitHub, you can optionally enable Push-to-Deploy. When enabled, WP Pusher will setup a webhook on GitHub that will trigger an update every time you push new code to your repository. 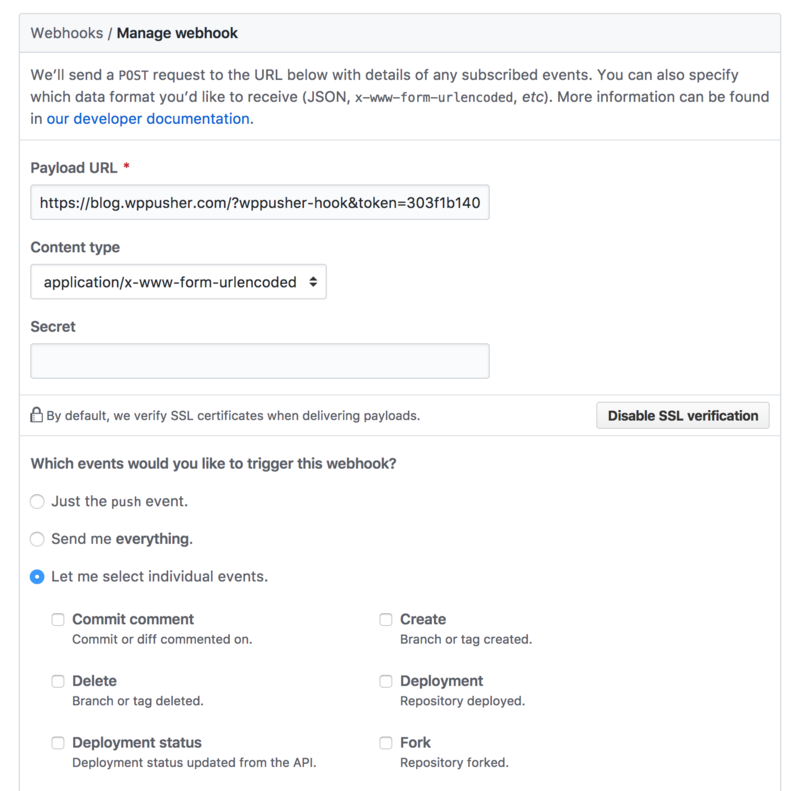 If you log into GitHub and look under "Webhooks" in the repository settings, you will notice that you have a new webhook.